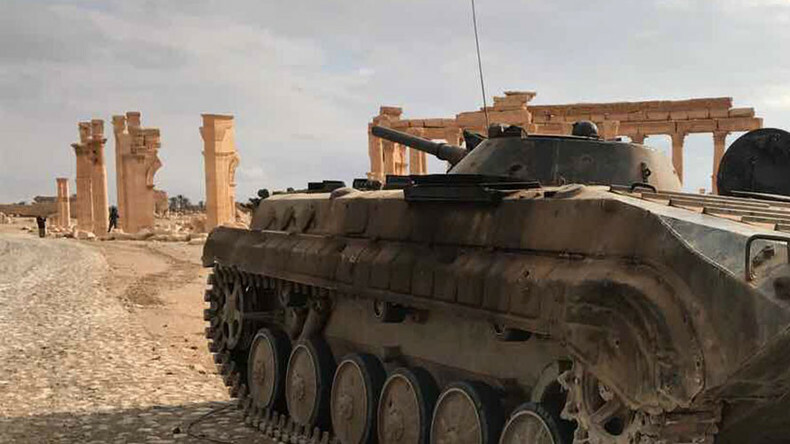 The Syrian army’s major offensive to retake the ancient city of Palmyra from Islamic State militants was planned and coordinated by Russian military advisers, Russia’s General Staff said. “The Syrian army’s operation in Palmyra has been a remarkable success. It has been planned and carried out under the guidance of Russian military advisers,” Sergey Rudskoy, chief of the General Staff’s operations department, said on Friday. Islamic State (IS, formerly ISIS/ISIL) suffered heavy casualties, having lost over 1,000 militants killed or injured in action, along with 19 tanks, 37 armored fighting vehicles, 98 pickup trucks mounting heavy weaponry and 100 other combat vehicles, General Rudskoy added. The Russian Air Force and Special Forces played a vital role in destroying IS positions outside Palmyra, he continued. Russia’s brand new fixed- and rotor-wing aircraft, including the newest Kamov Ka-52 attack helicopters, were deployed in the operation. The airstrikes intentionally did not target locations of Palmyra’s historical monuments in order to preserve the city’s cultural heritage. At this point, the city is fully cleared of IS militants, he said, while the government troops have seized strategic heights south of the city, carrying on with their offensive eastwards. 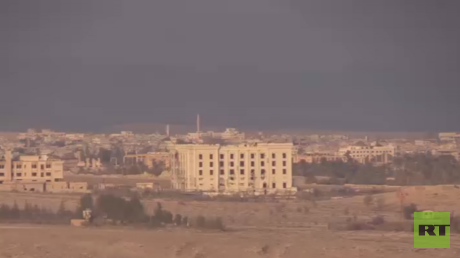 IS’s defenses around Palmyra begun to crumble on Thursday, after the Syrian Army and allied units reached the city's outskirts, supported by Russian Air Force. A key role was played by the “ISIS Hunters” – an elite Syrian force trained by the Russian military advisers. The unit will now be in charge of guarding the city and its key infrastructure, to prevent it from falling back into the hands of ISIS. RT’s Lizzy Phelan witnessed the special operators firsthand during the operation to retake Palmyra. Palmyra, a UNESCO World Heritage Site, fell to IS in 2015. The Syrian government had liberated the city from IS terrorists in March last year, but lost it again several months later. After seizing the city for the second time, the terror group destroyed part of the Roman theater and the legendary Tetrapylon in the ancient city. The destruction was described as “a war crime” and “an immense loss for the Syrian people and for humanity” by UNESCO Director-General Irina Bokova. Before the Syrian civil war broke out in 2011, Palmyra was a top tourist attraction – famed for its one-of-their-kind Roman buildings and archaeological treasures that IS sought to annihilate – attracting tens of thousands of visitors each year.